Posted by admin on Sep 21st, 2018 and filed under News Extra. You can follow any responses to this entry through the RSS 2.0. Both comments and pings are currently closed. 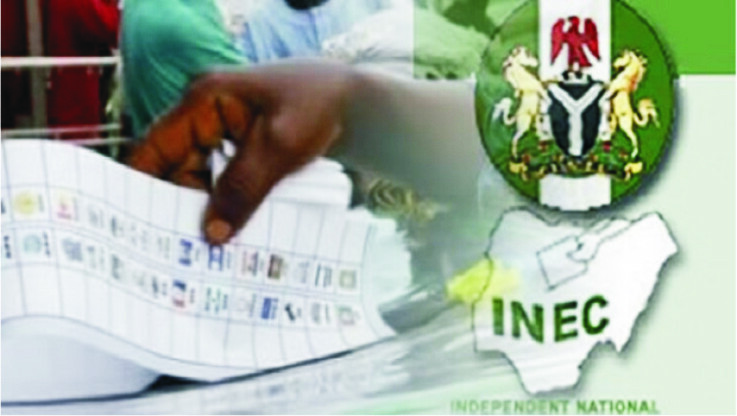 As the 2019 general election approaches feverish height, a Group in Imo State called Amalgamation of Imo Professional Bodies and Associations, (IPBA) has resolved to put the incoming Governor of the State to task by outlining a Template of qualities which the new Governor must possess before passing through the eye of the Niddle. The Body Coordinated by Chief Emeka Diwe has these organizations as members: Nigerian Union of Journalists, NUJ, Olu Owerri, Nigerian Barr Association NBA, Orlu Zurume, Independent Newspaper Publishers Association INPA, The Clergy, Academia, Trade Unions, National Association of Nigerian Students, NANS, National Youth Council (NYCN), Association of Town Unions and others. In a press conference held in Bar Centre, High Court premises, Owerri, the Association said that it is not for anybody but for all Imo citizens seeking for good governance, pointing out that IPBA has no special interest in any political party but out to support the best candidate who meets its Template. IPBA said that the Body is a mass movement made up of all Imo people to champion good leadership, adding that the present Imo State needs to be taken to another level. “We have called this Press conference to intimate the general public about the take off of the much awaited mass movement in Imo State, and to douse the tension created in certain quarters since the organization was formed” the Body said. The Body said that the new Governor “must have genuine and verifiable means of livelihood and must not have been adjudged Bankrupt by a competent court or tribunal within or outside Nigeria”. IPBA asked political parties to comply with its Template if they wish to have the support of its teeming members. “As various Aspirants jostle for nomination by their political parties, we urge their Leaders and Delegates to be guided, bearing in mind that the Imo Amalgamation and indeed Imo people shall scrutinize the records and pedigree of their candidates before the polls”. The Body said it would forward the Template to all political parties in Nigeria and to other organizations. Present at the press conference held at the NBA office Owerri, were representatives and Leaders of all the Associations that formed the Amalgamation. Speaking to Journalists, the Coordinator, Chief Emeka Diwe said that IPBA is a Non- Governmental Organization NGO that funds its activities, and therefore non political and non partisan, but only for the good governance of Imo State and its people.